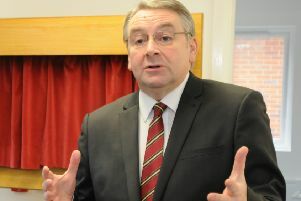 Plans to permanently close a hospital unit overnight have been slammed by North Tyneside’s two MPs. North Tyneside Clinical Commissioning Group (CCG) announced yesterday that talks had begun over the future of the urgent care centre at North Tyneside General Hospital. The facility has been temporarily closed between 10pm and 8am since December last year due to a lack of numbers. But the CCG hasbegun an engagement exercise on plans to extend the continued suspension as part of proposals for a new integrated urgent care service from October 2018, which will see the centre remain closed overnight, with a home visiting service operating instead. Now Tynemouth MP Alan Campbell and North Tyneside MP Mary Glindon have issued a joint statement claiming the proposal is “unacceptable”. They said: “Effectively the temporary closure of the Urgent Care Centre at Rake Lane is to become permanent, without proper consultation but with a so called ‘engagement exercise’ instead. “Residents across North Tyneside will be receiving a lesser service than patients at Wansbeck and Hexham where a 24 hour service has resumed, despite them being less busy centres. “The proposal will leave urgent care at Rake Lane open for even fewer hours than now and it isn’t clear whether patients will be able to walk in or will need an appointment. “The NHS is there to serve the needs of patients not the needs of the CCG. “If, as the CCG says, it has a duty to spend taxpayers money wisely did they waste so much money on the flawed first procurement exercise? “We strongly believe that the Urgent Care Centre at Rake Lane should return to 24 hour opening to relieve pressure on Cramlington and in line with Hexham and Wansbeck. “We also need the service to be based at Rake Lane as residents said and there must be full and proper consultation. “The CCG says that they did a detailed consultation before but now intend to ignore it. “That consultation supported a ‘one stop shop’ and said it must be at Rake Lane. “Instead our constituents face a downgraded service at Rake Lane or at worst none at all, and all that without proper consultation.